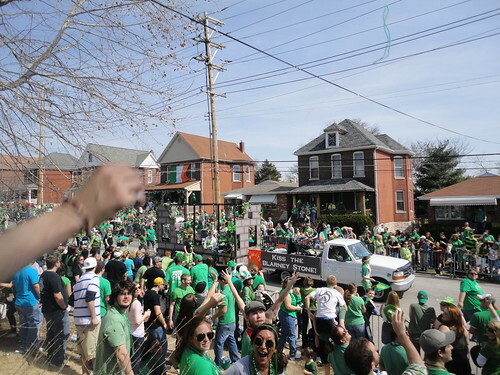 Life on Tamm Avenue is usually quiet and calm, but one day each year the neighborhood turns itself over to the celebration of St. Patrick’s Day. For many, the event is an excuse for excessive drinking and general silliness, but luckily this year’s attendees turned out to have more diverse motives for participating. One family watching the parade in front of my house came all the way from Tulsa, Oklahoma to celebrate their spring break in Dogtown. 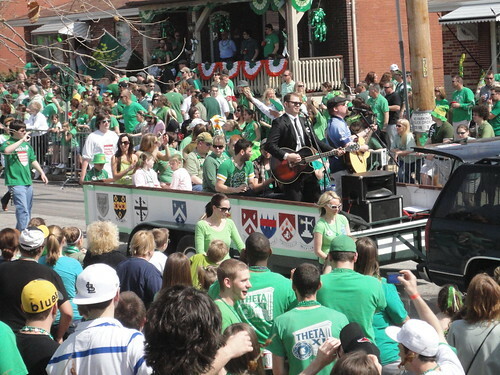 With floats representing everything from Police and Firemen to Irish Dancers and Large Irish Families, the parade lasted almost 2 hours. 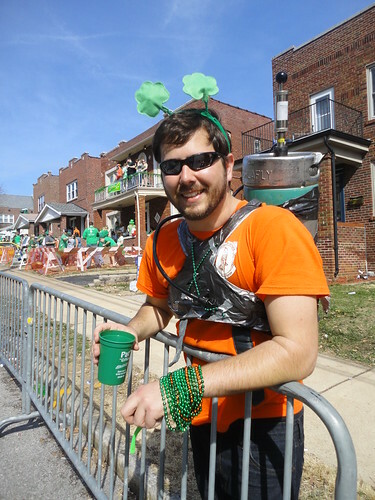 Beads and Tootsie Rolls were tossed by the hand-full to join empty beer cans on the sidewalks, yards and streets of Clayton-Tamm. Meanwhile, entrepreneurs strolled up and down Tamm taking money from the intoxicated. 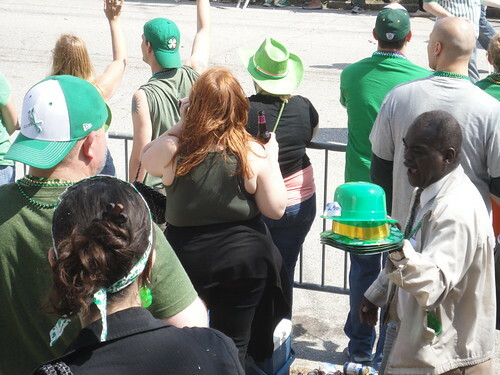 In addition to the more established vendors of Pizza, Cheesesteaks and Gus’ Pretzels, individuals peddling buttons, beads, hats and other swag played their role in the crowd. 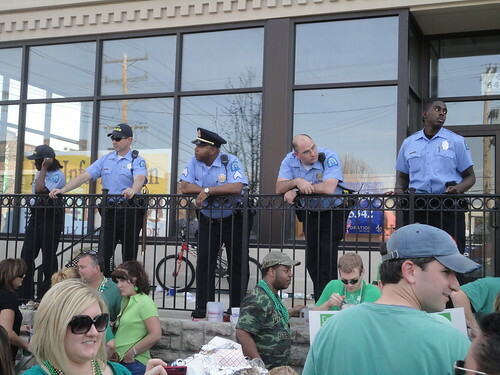 Police also maintained a very obvious presence, restricting the day’s festivities to good natured fun. The day turned out to be a lot of fun. If you didn’t make it this year, be sure to come next time. 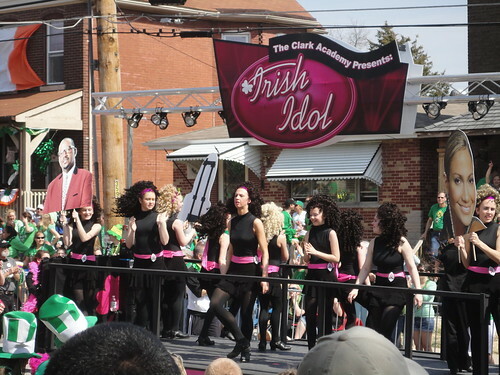 By then maybe we’ll have settled the debate over whether or not the Irish Dancing girls wear wigs. I still think that a lot of these girls are wearing wigs but I’ve heard people sound really convinced that they all curl their similarly long hair just for the parade. Either way it’s ridiculous.